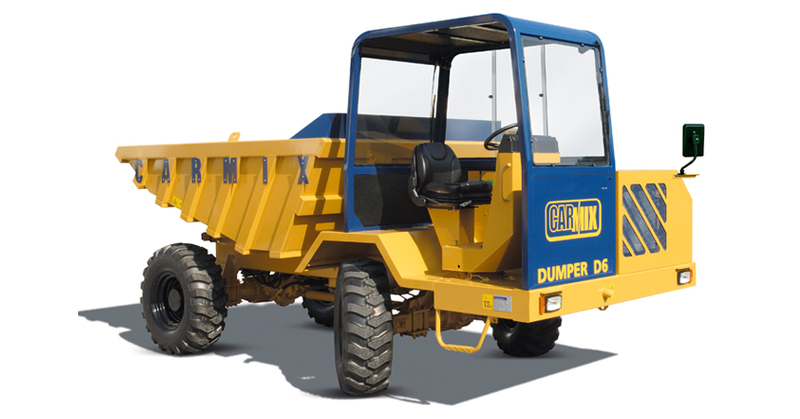 4×4 truk dumper, dengan kapasitas muatan 4,500 liter level (990 gal UK – 1188 gal US) dan 6,000 liter muatan penuh (1320 gal UK – 1585 gal US). Dilengkapi bak muatan untuk muatan batu, 2 silinder hidrolik untuk dumping. Kecepatan muatan dari 0 – 12 km/jam (0 – 7,46 mph), dan kecepatan kosong dari 0 – 25 km/jam (0 – 15,53 mph). DUMPER D6 dirancang dengan keamanan kerja maksimal untuk operator dan dirancang untuk pekerjaan medan berat. Loading Capacity Struck: 4500 liters (990 gal UK – 1188 gal US). Heaped: 6000 liters sae (1320 gal UK – 1585 gal US). Engine Perkins 1104 D-44 TA Turbo-Diesel, watercooled, 4 cylinders. Maximum power 83 kW (111 HP), set at 2300 r.p.m. Transmission Fully hydrostatic Bosch Rexroth with electric inverter. Gear box with mechanic control, two speeds. 4 wheel drive and steering. Speed Working speed from 0 to 12 km/h. Road transfer from 0 to 25 km/h. Driving seat Reversible seat with automatic inversion of hydraulic steering circuits. 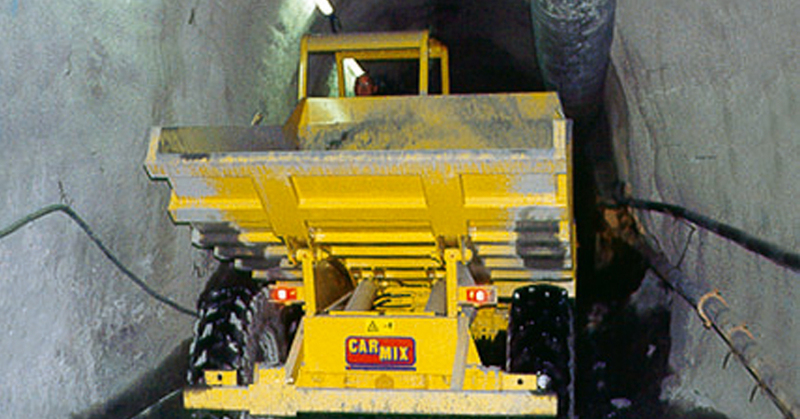 ROPS-FOPS cab closed on 3 sides. 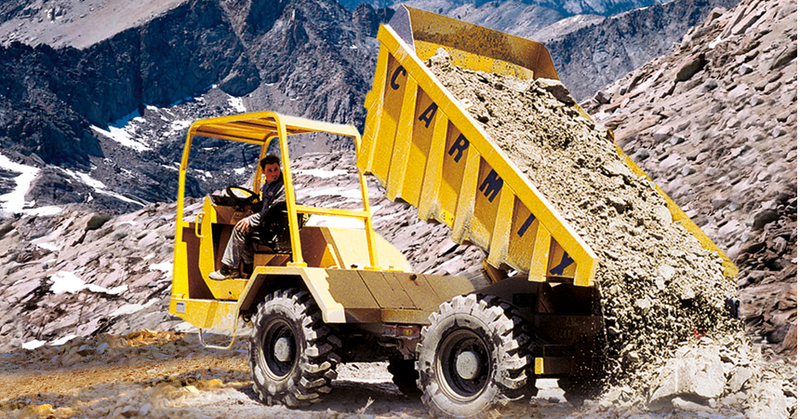 Skip Heavy duty rock type. Hydraulic tilting with 2 cylinders. Hydraulic system The hydraulic concrete mixer system is composed by 2 independent circuits, variable outlet pump for hydrostatic transmission and hydraulic pump for services. Heat exchanger water-oil-air/air type. Tyres Off road industrial type 16/70-20 14 PR. Steering Hydrostatic, “load sensing“ type 3 way steering. Radius: internal 2900 mm. external 5800 mm. Tanks Diesel: 115 liters (25 gal UK – 30 gal US). Hydraulic oil: 80 liters (17 gal UK – 21 gal US). 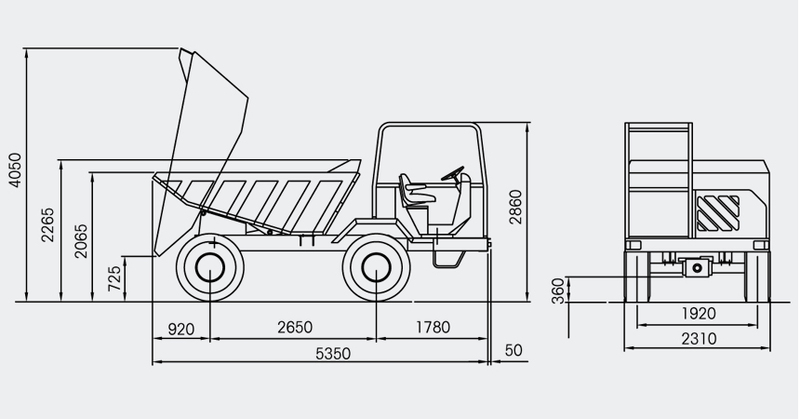 Weight Empty: 5.800 kg (12.786 lb) equally distributed on both axles. 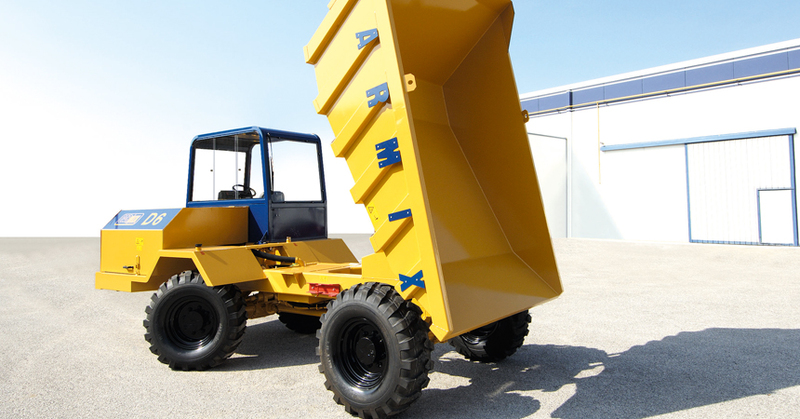 Safety Dumper equipped with checking and block valves for maximum safety of the operator. 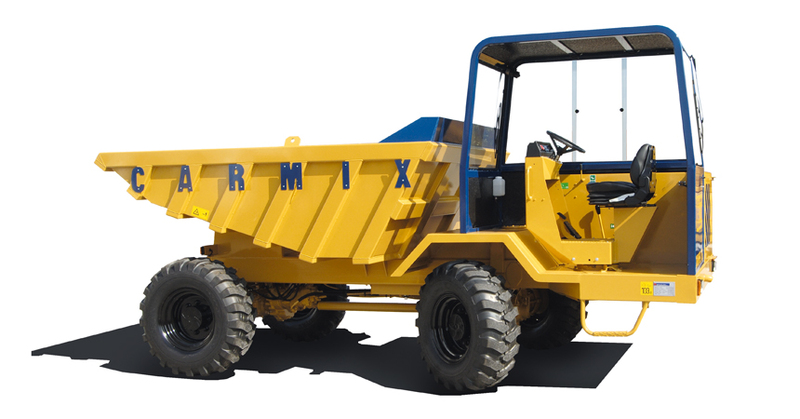 Catalogues The dumper mixer machine is equipped with Use and Maintenance and Spare Parts Manuals according to CE regulations.